Активация шишковидной железы. Питание для третьего глаза. (Эпифиз) шишковидная железа активация, третий глаз. Развитие шишковидной железы. Сурат шабд йога. Йога свето звукового потока. And find out all of the information about ayahuasca in Phangan Thailand personally. Duration of the ceremony is 4 hours, but we stay in the place of ceremony until morning, after main part of the ceremony we will share expirience and stay in process. We start ceremony at 7 pm and come back in the morning. All ceremonies consist of two day retreat. The first day of the cleansing ceremony with Ayahuasca vine caapi. In the evening on the second day there is a second main ceremony, a training process, opens up access to other worlds using combinations of different vines. We will make this ceremony in the nature or house. Accommodation and meals are not included in the price of ceremony. Ceremony guide kurandero , he already work with plants 15 years, he studied in Peru. All participants stay in there oun process. You need to bring with you: yoga mat, pillow(may be), blanket, water. We recomend to partisipate in 2 ceremonies. Usually we guide the ceremony in russian and english languages. Groups are different nationalities. Ayahuasca ceremony in “Akvaruna” tribe tradition. There are many different tribes in Peru, Brazil and Ecuador and each tribe has a different composition of the drink, ritual of the ceremony and, of course, the results. You can find both “tough” and “soft” methods of the ceremonies. “Tough” method – quite extreme one. The emphasis is on getting the visual effects and mystical experiences of the vibrant. To enhance the effect of the drink usually plants containing DMT, datura, cocaine, psychoactive mushrooms and cacti are added. Mostly it gives you a lot of bright visions and insights. You can even have a so-called death experience. Such ceremony can be useful in special occasions and often you can experience blissful joy because you, unexpectedly for yourself, survived from such intensive feelings. Unfortunately sometimes this leads to psychological traumas and in these cases people need a certain therapy for recovery. Such experience can be interesting only for those who are proficient enough and who craves for new adventures, for those who desperately want to see other forms of the reality and are not afraid of experimenting with their minds. “Soft” method – soulful, you can kindly feel mothers care from the spirit of the Ayahuasca plant. The main purpose of the ceremony is deep healing, primarily by cleansing the body from all superfluous gained over the years: various toxins, poisons and diseases which you have gotten on the level of the physical body. However, this ceremony can purify your mental body out of the accumulated pain and resentment, make both your channels and meridians clear. When the moment is right the plant can become a teacher for you and show hidden on a subconscious level. As a result after the procedure in the morning you will feel a total renewal of the body and spirit, moreover, freshness of life. In our case we follow the traditions of the Akvaruna tribe- Soft method! Our method is suitable for people interested in the liberation from the shackles of ignorance, for people coming to the light, to the truth, honesty. For those who wish to be healed from all sorts of the diseases and in future use this method to maintain a good shape and a clear mind. If you want to go through the ceremony you should exactly know why you need it and understand that this step is a big opportunity and leads to a radical change in your life. The Master who will lead you through the “healing trip” has been practising Amazonian medicine over 12 years, he is versed and still improves his skills every year from more experienced “curandero” in Selva, Amazon, Peru. Ceremonies are held on courses for 2-3-5 days. To have a really deep effect you should take a few of these courses. Usually there are small groups of 5-12 people. Individual sessions are also possible, as well as separate sessions for families, friends or groups of advanced participants. If any of mentioned above does not suit you – please look for another option, that you may find perfect for you. We follow and prefer to work with the soft method, which is stressless and calm- oriented. Despite the fact that traditional Ayahuasca in Phangan ceremony has its origins in the Amazon, it’s recipe has been echoed around the world long time ago and now people drink Ayahuasca in all corners of the globe. 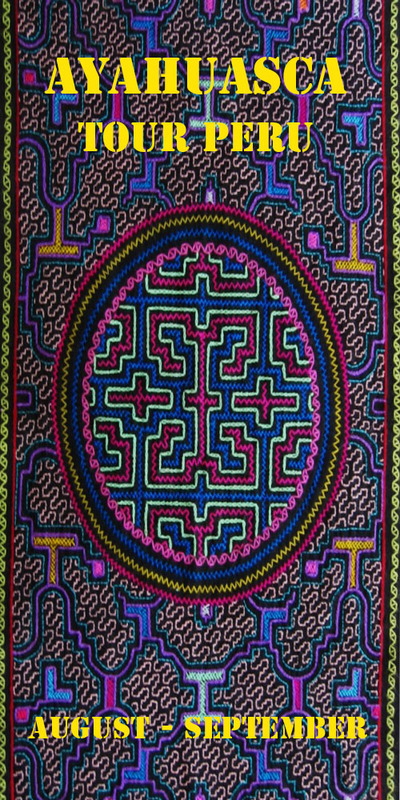 There is even a belief that the substances contained in Ayahuasca are also present in many other plants that are available in almost every region. It is possible that Russian, Chinese, Indian or any other shamans had information about DMT, but their knowledge and recipes did not reach our days. In the age of Kali Yuga everyone is condemned to suffer from different diseases. Even if you meet the happiest and the most shining person ever, who is filled with beauty and health, you will probably hear the story about how sick and infirm they were before they started to work on themselves. If the traditional medicine with its doctors, pills and procedures really saved us from the diseases, we would never turn to the spiritual practices, teachers or holy books. However, subconsciously we feel that only this way we can find the hearth of our problems and try to correct them. Medicine can only remove the symptoms for a while. Since ancient times shamans of the Amazon have used the drink called Ayahuasca to treat people who come to them. They also conducted experiments with Ayahuasca on themselves in order to achieve the higher worlds and deal with the inner self. No one knows exactly when and by whom Ayahuasca was invented, but its ceremonies are held for many hundreds of years around the world and more and more people tell about their out of body experience, which was their dream of a lifetime. Ayahuasca ceremony in Phangan Thailand is a very strict and meaningful event. Failure to comply cautions and requirements can lead to serious problems. They can occur on both physical and mental levels. Therefore, you should always learn as much as possible about the Ayahuasca ceremony from the person who is going to hold it and carefully follow shaman or teacher’s instructions. As a rule, the preparation for the ceremony of Ayahuasca starts long before the trip directly. A week before drinking Ayahuasca it is necessary to start the mental and nutritional diet. Your thoughts should be clean. Do not do evil, do not offend others, do not take the offence, do not get mad, do not quarrel and try to keep the state of thoughtlessness: when no external factors disturb your inner self. Prepare your mind and body for the meet with spirits of Ayahuasca. As for the food, a week before the ceremony of Ayahuasca it is highly recommended to exclude meat, milk products, alcohol and drugs from your diet. Extra caution should be taken to the pills. If you have the opportunity to quit taking them a week before Ayahuasca ceremony, do this. This will increase your chances to get a positive experience. 2-3 days prior to the ceremony of Ayahuasca it is necessary to prepare much more serious. Eating only fruits and vegetables for these days is the best. They can be heat treated, but do not add any spices. Nevertheless, not all fruits and vegetables can be eaten. The best way is to only drink water at the day of ceremony. It is important to note that during the week before the ceremony of Ayahuasca it is necessary to completely eliminate sexual relationships. This is needed due to the accumulation of proper amount of energy, especially in the two lower chakras. Many shamans say that celibacy is far more important than food diet. You are the most responsible person for the abstention from food before drinking Ayahuasca. This affects the quality of visions, your communication with the spirits, your physical and mental feelings. In addition, if not dieting, you endanger your health and even life: there are known deaths after taking Ayahuasca of those who did not pay attention to the warnings. During the Ayahuasca ceremony you should be ready for a sharp and unpleasant cleaning of your body. You could feel sick, you will probably vomiting and have a diarrhea. This is considered to be a part of the ritual, because body releases from toxins, germs and evil spirits with these fluids. It is believed that the more cleaning is committed, the more spiritual dirt a person has. You may want to scream, you might be scared. Maybe you will feel the euphoria and happiness, want singing and dancing. Do not restrain yourself under any circumstances and always refer to shaman for help or advice. Throughout the ceremony of Ayahuasca he will be near you, playing musical instruments and controlling your mind. Remember that shaman or teacher is a person who drank Ayahuasca many times, conducted many ceremonies and many good and bad trips happened to him. Rely on him, trust him. Trip duration is a pretty personal thing. Someone will finish in just few hours, someone will feel Ayahuasca action even after 8-10 hours. For this reason Ayahuasca ceremony begins at the sunset time and lasts until the dawn. The bonfire will help to focus and disperse heavy thoughts. Usually people who drink Ayahuasca in Phangan stay at the same place. Is is allowed to sit, lie down, stand up. If you want to walk or leave the place of Ayahuasca ceremony, you should let shaman know. Possibly someone will go with you as a companion. Of course, you got a lot of questions. Many of them we can answer. But if you want to know more without contacting us, you can watch following videos. We have collected the most interesting about Ayahuasca, ceremony of Ayahuasca in Phangan Thailand, people’s experience and so on.